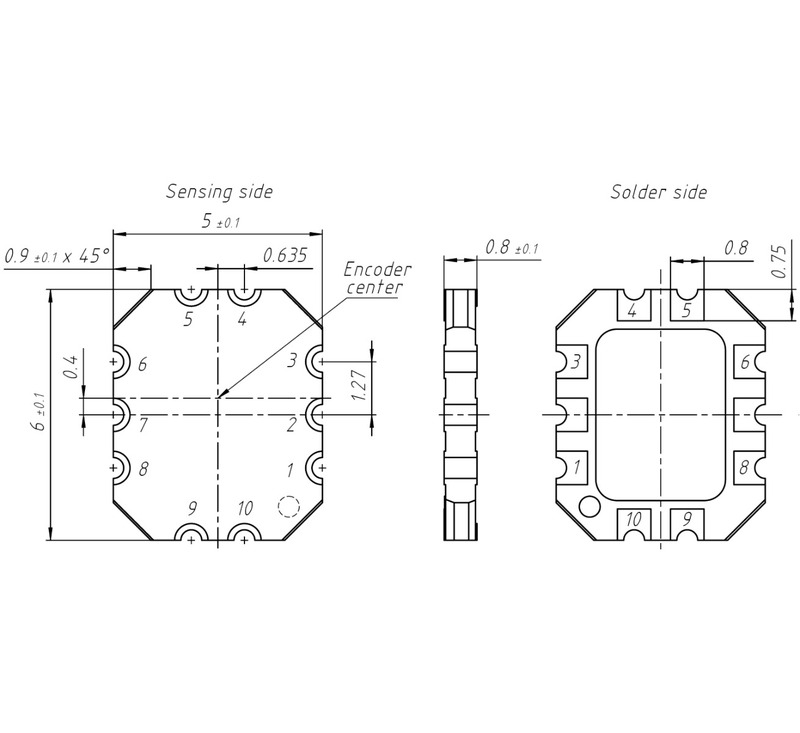 The ID4501C incremental encoder kit consists of an encoder and a codewheel. 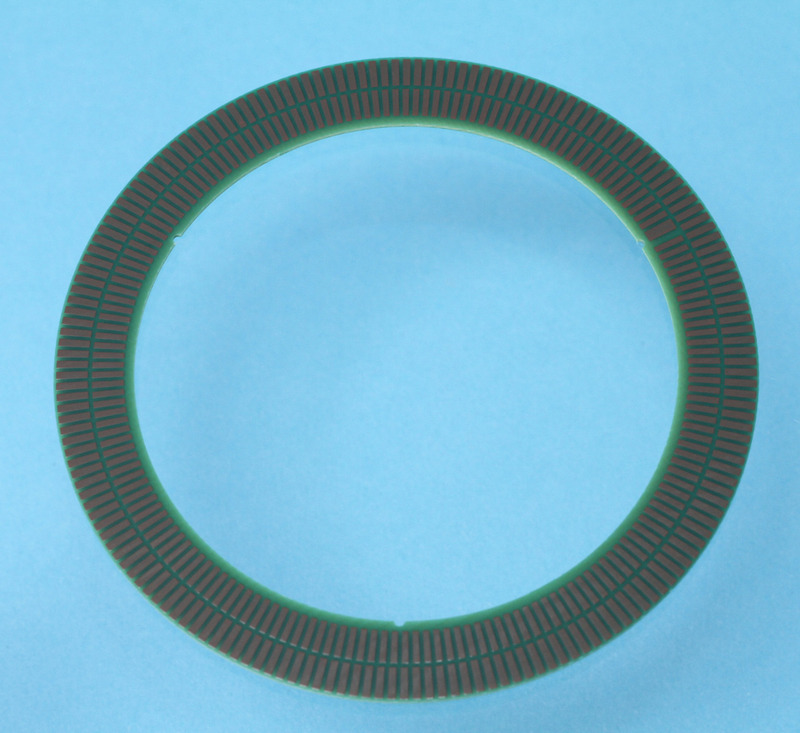 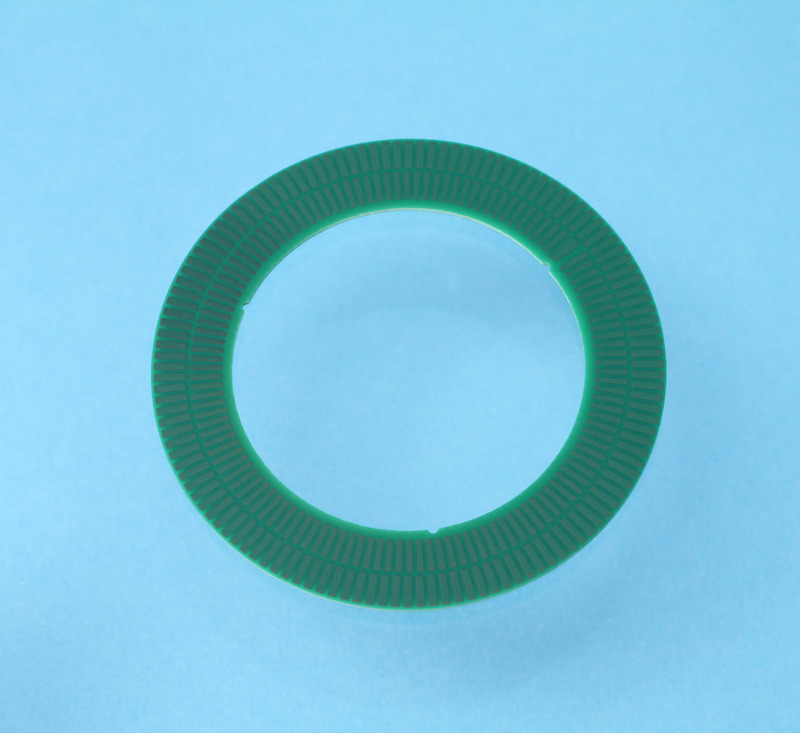 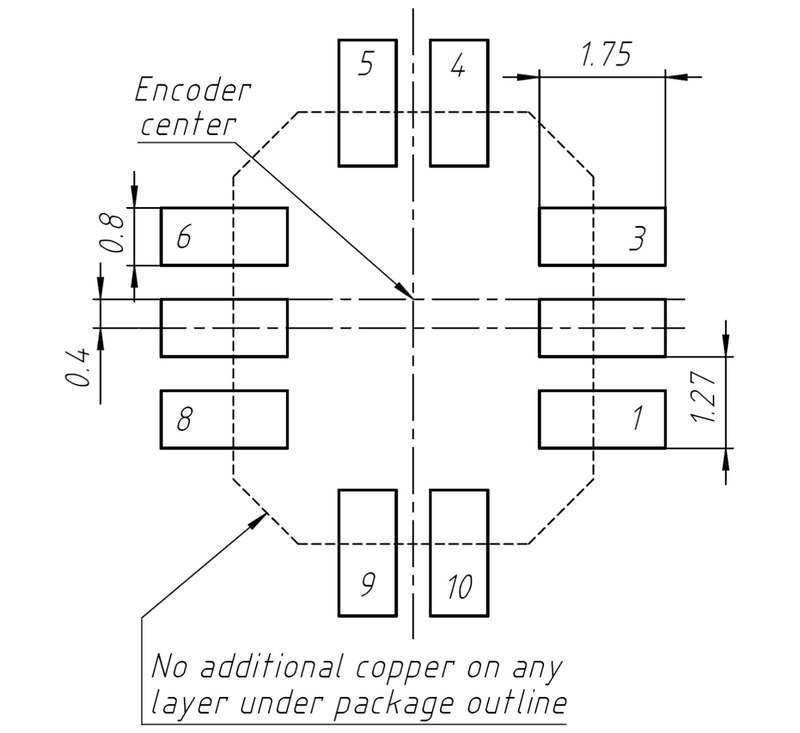 The encoder is an integrated circuit in a PCB housing. 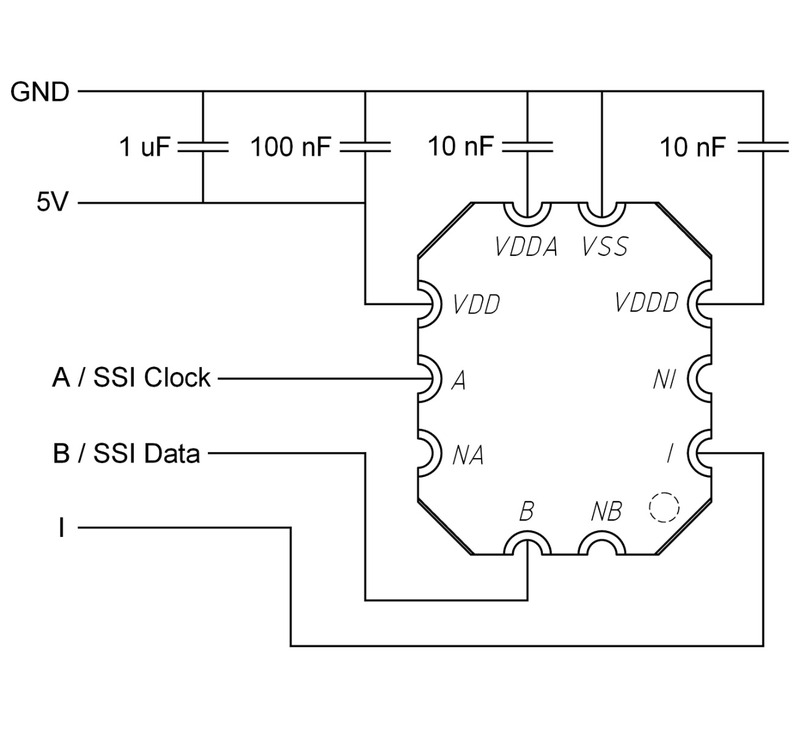 It provides incremental A and B output signals in quadrature. 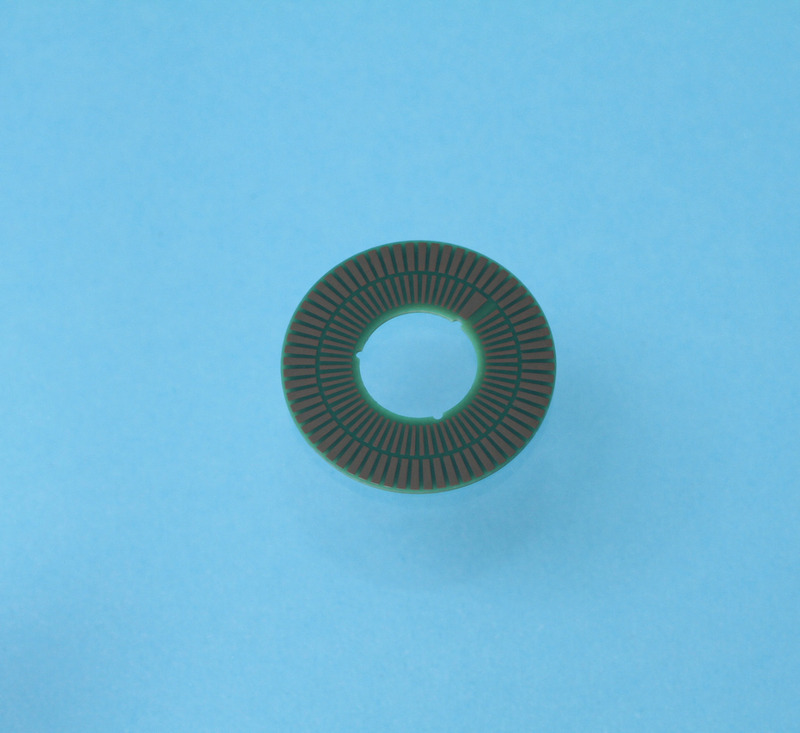 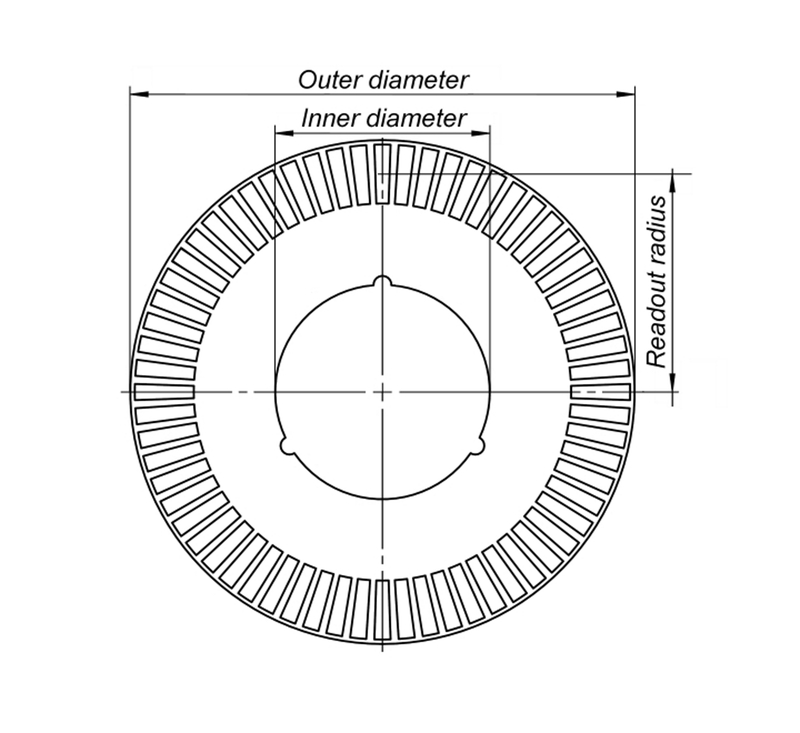 The codewheel is a PCB with passive copper strips. 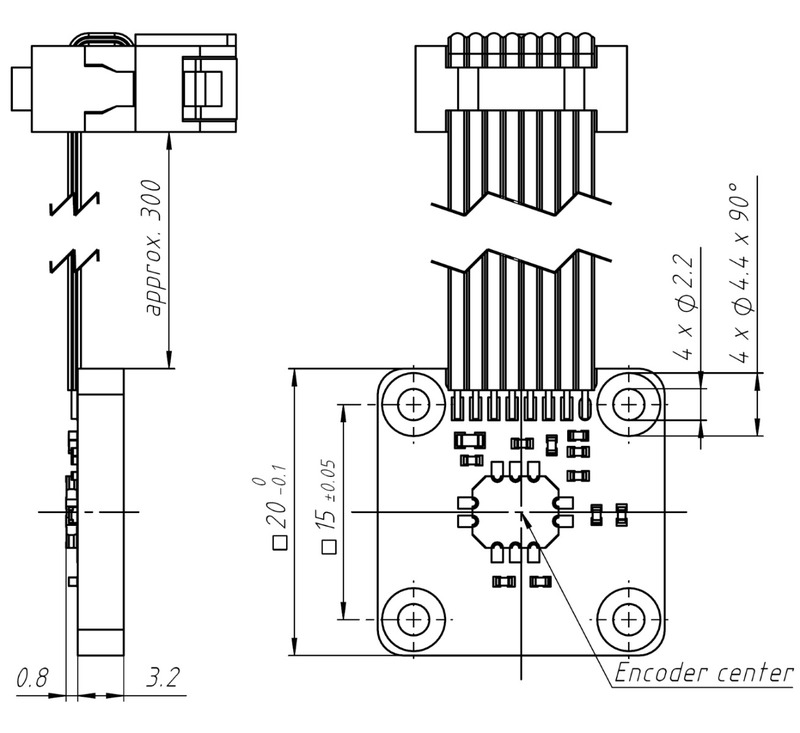 Dimensions (mm) of ID4501 encoder on encoder-holder type A with flat cable (pitch 1.27 mm) and 8-pin DIN41651 connector.